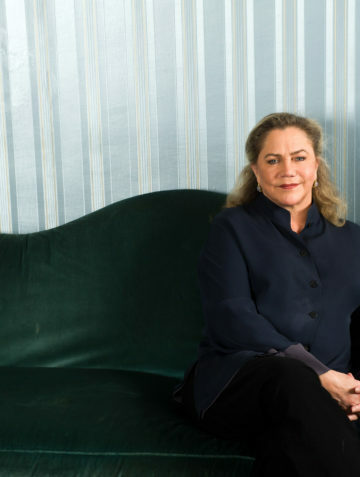 Kathleen Turner is an American film and stage actress and director. She is the daughter of Allen Richard Turner, a U.S. Foreign Service officer. She graduated from American School in London in 1972. After the death of her father, the Turner family moved back to the United States. Turner came to fame during the 1980s, making her film debut in Body Heat (1981). Her role as the relentless Matty Waker brought her astronomical success. She continued to flourish with performances in The Man with Two Brains (1983), Romancing the Stone (1984), Prizzi’s Honor (1985), the latter two earning her a Golden Globe Award for Best Actress. In the later 1980s and early 1990s, Kathleen Turner had roles in The War of the Roses (1989), Serial Mom (1994) and Peggy Sue Got Married (1986) for which she was nominated for the Academy Award for Best Actress. She later had roles in The Virgin Suicides (1999), Baby Geniuses (1999), and Beautiful (2000). Turner has also done considerable work as a voice actor, namely as Jessica Rabbit in Who Framed Roger Rabbit (1988), as well as Monster House (2006), and FPA’s America’s Diplomats (2016).